In order to enter or remain in the UK on the basis of a financial investment, or to be actively involved in the running of a UK business, you will normally need to obtain a visa under Tier 1 of the points-based system. The points-based system has special categories and rules for investors and entrepreneurs. If you are a senior employee of a business that has its head office outside the UK and the business is seeking to set up a UK branch or wholly-owned subsidiary then the Sole Representative category may be worth considering. There is also a separate business category for Turkish nationals. Our investment immigration barristers works closely with investors, entrepreneurs, wealth managers, business advisors and venture capitalists to prepare and submit high quality visa applications for investors, entrepreneurs and their families. 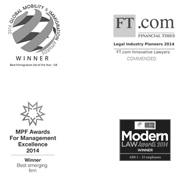 Our team of immigration barristers has experience in assisting all types of investors and entrepreneurs. Whether you are in a position to make a substantial financial investment in the UK, are interested in setting up and running a new business in the UK or are looking to invest in an established business, we are experts in the immigration options for investors and entrepreneurs and can guide you through the complex Home Office rules and policies. The Tier 1 Investor category is for non-EEA nationals who are able to make a substantial investment in the UK. If you do not already hold a Tier 1 (Investor) visa granted before 6 November 2014, you will need to have access to £2 million and be willing to invest your funds in UK government bonds or actively trading UK companies. The Tier 1 Entrepreneur category is for non-EEA nationals who want to set up or invest in a business in the UK. You will need to have access to £200,000 (or £50,000) and satisfy the Home Office that you genuinely intend and are able to be actively involved in the running of a viable UK business. The Tier 1 Graduate Entrepreneur category is for non-EEA nationals who want to set up a business in the UK and who have been endorsed by a UK Higher Education Institution or the Department for International Trade as having a credible business idea and entrepreneurial skills. The Sole Representative visa category is for businesses that would like to send a senior employee to the UK in order to establish a commercial presence for the company in the UK. You will need to have a genuine business which is based outside of the UK and hold not more than 50% of the shares in the business. The Turkish Businessperson visa is for Turkish nationals who either want to start a new business in the UK or come to the UK to help run an established business. To arrange an initial consultation meeting with a member of our Private Wealth team, contact our immigration barristers on 020 3617 9173 or complete our enquiry form.